Is there really such a thing as an easy 1200 calorie diet? Actually there is if you're willing to put a little extra work into the front end of planning or have money to spend on pre-packaged meal plans. What some people consider an easy 1200 calorie diet, others will think is too much math and measuring. 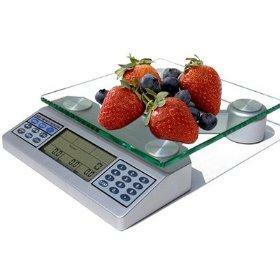 If you're not interested in measuring foods and figuring calories, the easy way to follow a 1200 calorie diet is to let someone else do all that figuring for you. In some cases, menus planned by someone else tell you what recipes to make and what portions to eat. An even easier solution for those who feel like they don't have the time to make their special meals is to join a diet program that offers prepackaged meals right to your door. For these diets, all you have to do is pop the meal in the microwave. How much easier can it get? If you're looking for a 1200 calorie diet that's free and easy, you'll be a long time looking. While there is plenty of information available to help you know what to eat and how to weigh and measure foods, planning a 1200 calorie diet menu for weeks and months takes work. Not only that, but each ingredient must be weighed or measured to count calories and ensure you're staying within your caloric limits. Free 1200 calorie diet information usually offers a limited menu and a few tips to help you get started, but the rest is up to you. If you're disciplined and committed, you can make it work. If you're not, then chances are you'll get frustrated or discouraged and revert back to your old eating habits. The question to really ask yourself is, "How much am I willing to spend to lose this weight?" Dr. Segal's Cookie Diet offers a 1200 calorie plan. This diet uses Dr. Segal's specially formulated cookie to control hunger. This diet only allows these cookies during the day which comes to 500 calories. The remainder of calories are eaten at dinner. NutriSystem offers diet plans with daily calorie amounts that vary between 1200 and 1500 calories. This plan also provides prepackaged foods for 3 meals and 2 snacks each day. This diet is based on the glycemic index. The following 1200 calorie diets require you to cook for yourself, but offer guidelines to help you through the process. The Prism Weight Loss Program allows 1000-1200 calories a day for women and 1300-1500 a day for men. The amount paid to participate in this diet is minimal compared to most, but you will still have to buy and prepare all your own food. Membership provides a workbook and other support materials to help you stay focused. While the South Beach Diet is really known as a low-carb diet, the daily meals add up to between 1200-1500 calories. What's easy for one person isn't necessarily easy for all people. That's why counting calories doesn't work for everyone, if they are the ones responsible for the actual counting. When it comes to eating low calorie, some people want to knock pre-packaged meals but if that box has everything in it you need, the ease and convenience makes it an option to consider. However, on the other hand, buying pre-packaged foods can be expensive. Take the time to figure out what you regularly spend on food for yourself, subtract that amount from the cost of the diet and you'll get a clearer picture of how much a diet of pre-packaged foods would really take out of your budget. If you think it will help you stick to it, then the cost will be justified.